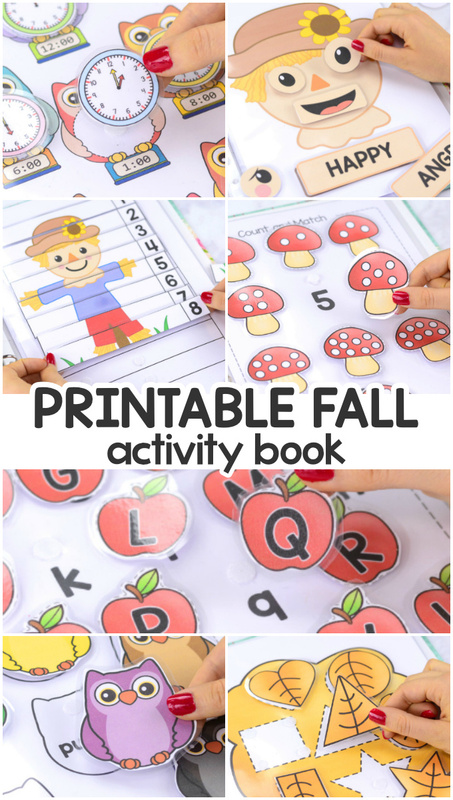 This printable fall activity book is perfect to use in the classroom or at your home, just laminate it and use it over and over again! 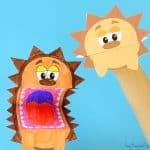 Learning through play or fun printable interactive learning activities is the best! This Printable Fall Quiet Book focuses on many of the essential basic skills that are expected for preschoolers and kindergarteners – from ABC’s to basic telling time. 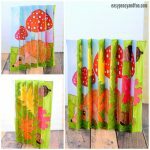 Laminate all sheets, put them in a binder and give to the kids to explore. 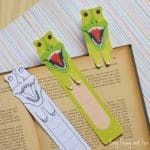 Print the pages you are going to use. 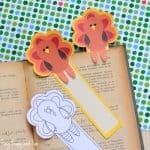 Laminate (for smaller pieces we recommend adding a dab of glue on the back before laminating, to keep them in place during lamination. 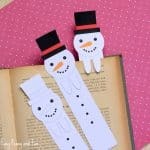 Add velcro dots where needed (you can also use this without velcro dots). Teach the kids telling time to the hour with them having to match the analog clocks to the digital ones. 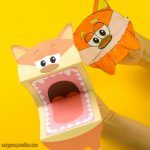 Fun owls are here to make the experience more fun! 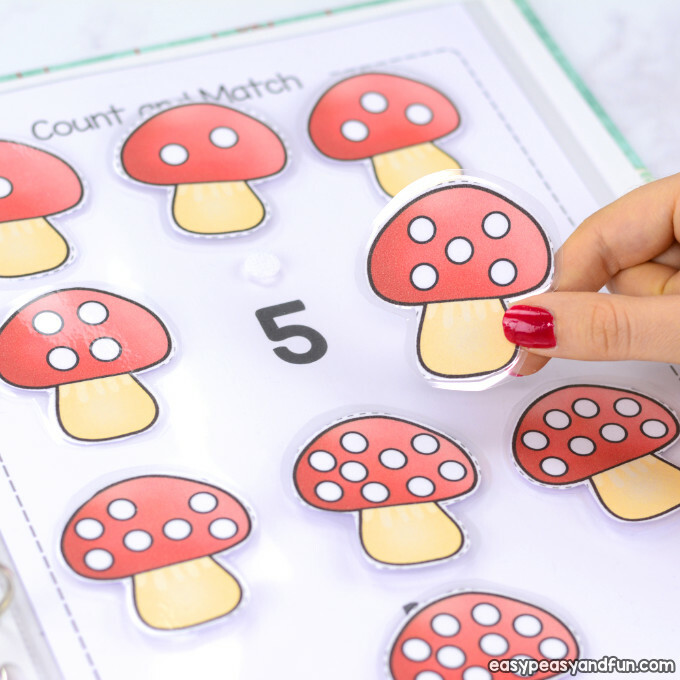 Count the number of dots on each of the mushrooms and match them to the correct number. 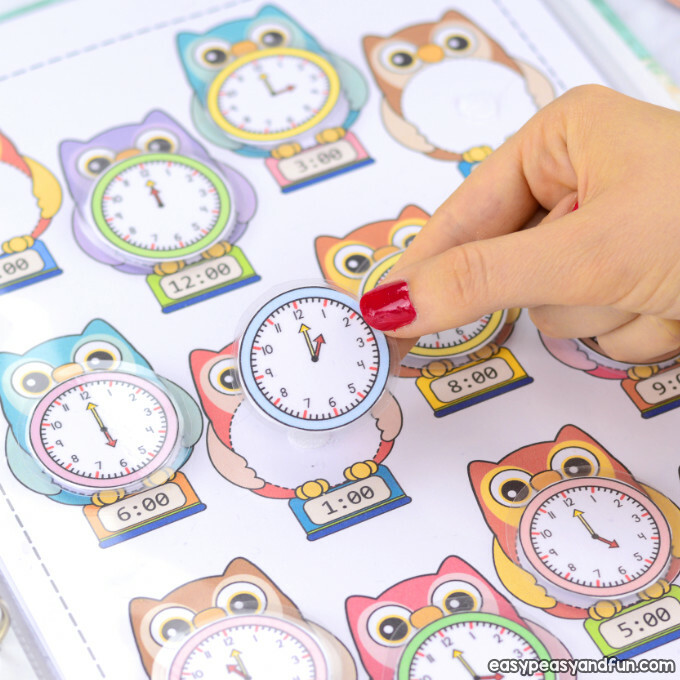 Match the owls to the color – two versions available – one with colors written with words for older kids and one with color background so colors can be matched to colors. 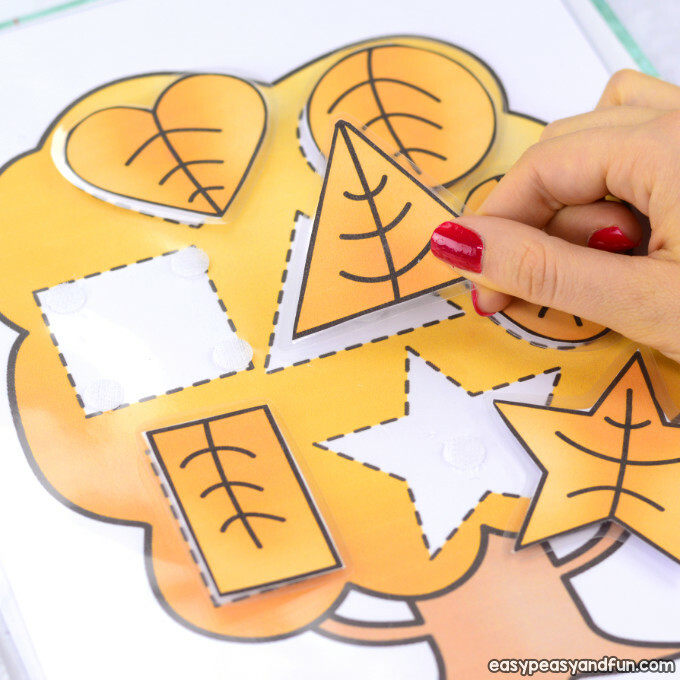 Match the leaves to the shapes on the trees. 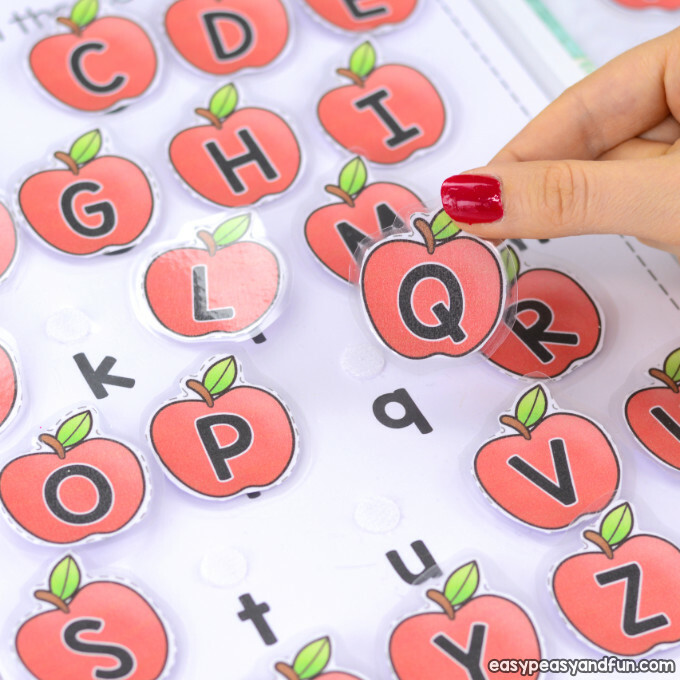 Match the uppercase letters on the apples with the lowercase letters of the alphabet. 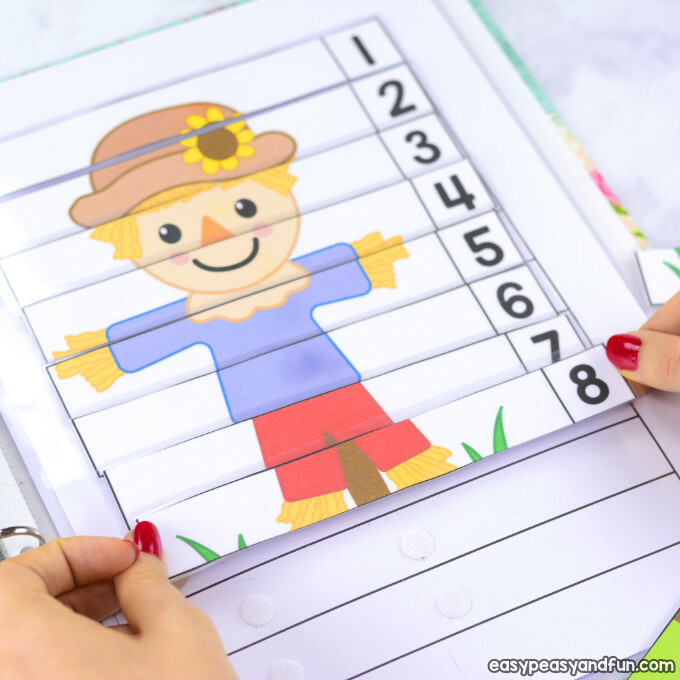 Build a scarecrow face – make it fun by just mix and matching random eyes and mouths or learn about emotions. Put the numbers in order and reveal a fall themed picture.